Gingivitis is known to be a disease that can cause a lot of damage to your tooth and your gums if left untreated. With regular dental visits and routine check ups, treatment for gingivitis can be performed easily and effectively right in our dental office. Bacteria in the mouth grow when plaque and tarter settle in your teeth. This bacteria can cause inflammation and bleeding of the gums. Initial stages of gingivitis can be detected simply when you brush your teeth. Gingivitis can easily be treated by your Burlington hygienist. 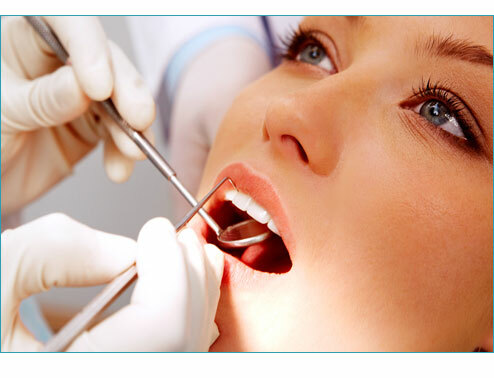 A simple cleaning, scaling and polishing your teeth will effectively treat the periodontal disease. In some instances you may require a second visit to remove all the tarter and plaque that is trapped between your teeth and your gum line. If gingivitis is left without treatment, the condition will worsen and roots will require a planing and smoothening the root surface in order to get rid of the infected area.